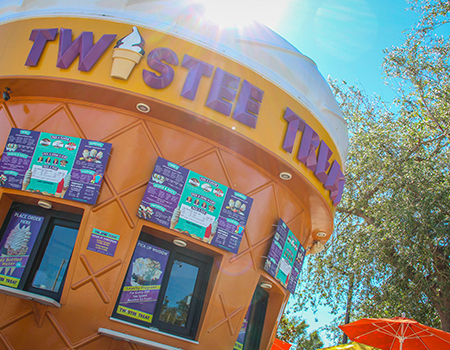 The 25’ tall fiberglass cone buildings are home to your favorite Twistee Treat ice cream. 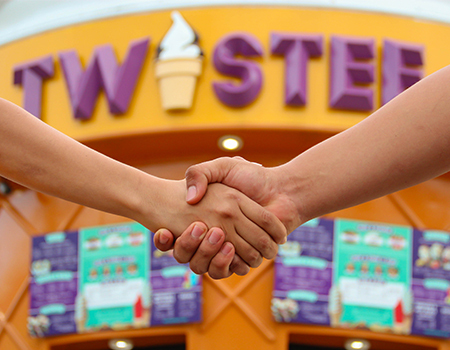 Twistee Treat’s long history of serving up the best ice cream experience is legendary! Twistee Treat ice cream makes you smile. We truly believe our wide selection of quality products combined with a fun and familiar atmosphere is what continues to create happiness. Our philosophy put simply is to hand out smiles. Over the years there have been millions! The Twistee Treat cone buildings will soon dot America’s landscape again, reminding us of how great ice cream is an experience to be enjoyed and shared. Twistee Treat ice cream is real homemade ice cream. The rich smooth flavors are sure to please anyone’s pallet. Our menu indulges in ice cream, cones, cups, shakes and malts. Traditional classics like the banana split along with another favorite, our brownie boat, continue to be a popular choice. Twistee Treat also offers twirls with your choice of candy, sundaes and slushies. Adding even more variety to our product offerings are our cookiewich and waffle taco. Stop by and see us soon! Do you love ice cream? Do you love making people smile? If you answered yes to both, Twistee Treat USA is looking for team members like you! Twistee Treat USA is growing. We currently have 30 locations within the Florida and Houston, Texas markets. Our goal is to have 50 locations open by 2019 and we can’t do it without great people like you. We have lots of opportunity for advancement, please search our openings and apply today. 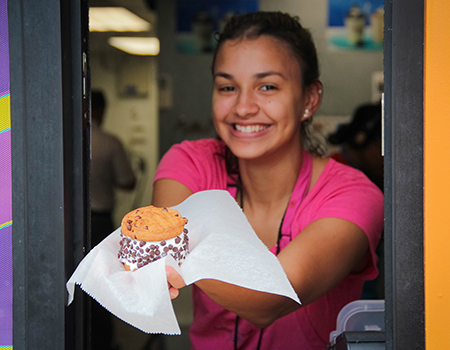 Twistee Treat USA is filled with upbeat, energetic, positive and hardworking team members. Recognizing that our employees come first, we offer a truly fun place to work. How can you not have fun working in a 25 foot tall ice cream cone? If you would like to hand out smiles and be a part of a positive and exciting team, please apply!